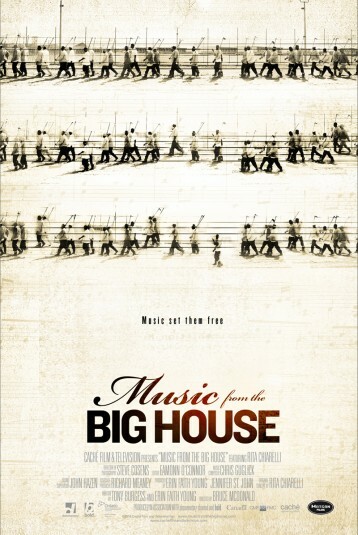 MUSIC FROM THE BIG HOUSE is an extraordinary story about finding hope, joy and music behind bars. Rita Chiarelli, Canada’s Queen of the Blues, takes a pilgrimage to the birthplace of the Blues: Louisiana State Maximum Security Penitentiary, a.k.a Angola Prison – formerly the bloodiest prison in America. Rita’s trip turns into an historic jailhouse performance, playing with – rather than for – musician inmates serving life sentences. Their shared bond of music, and Chiarelli’s ebullient personality, draw striking revelations from the inmates. Rather than sensational stories of convicts, we witness remarkable voices of hope as their love of music radiates humanity and redemption on their quest for forgiveness.